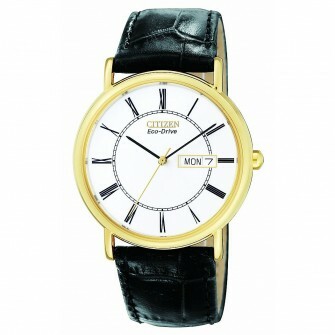 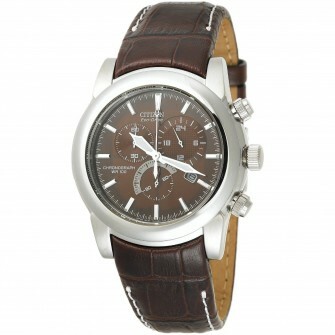 This Citizen Gent's perpetual calendar watch has Eco Drive which means it will never need batteries. 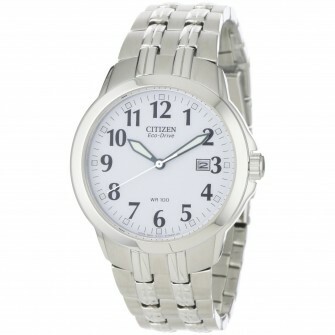 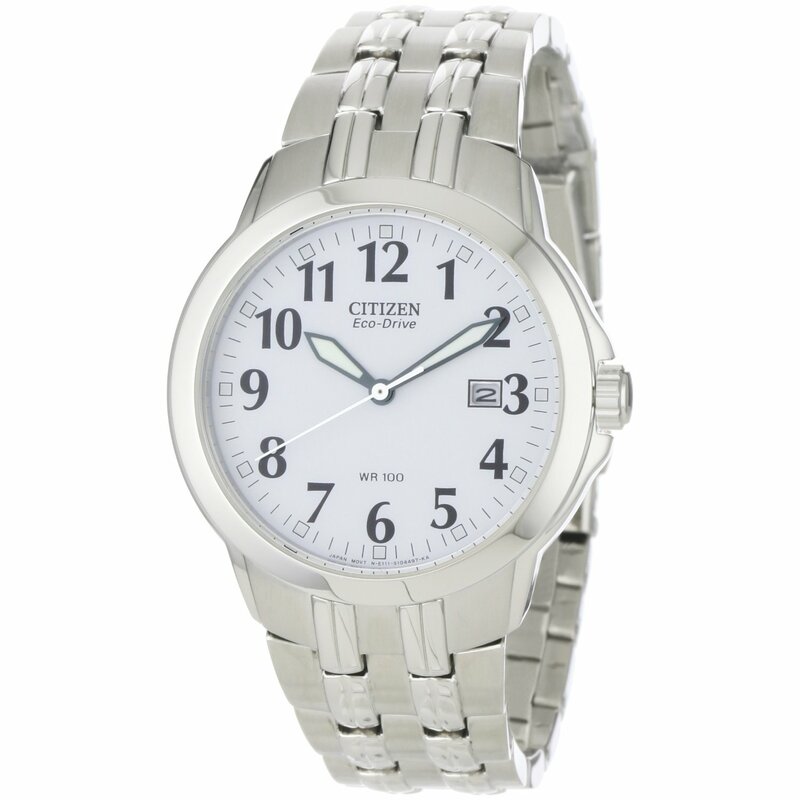 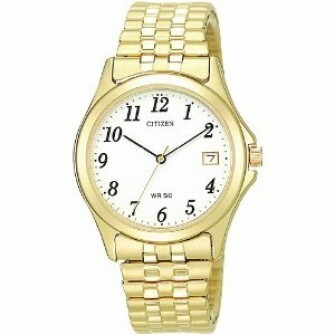 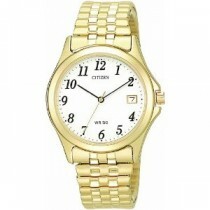 It has a stainless steel case and bracelet with push button deployment clasp. 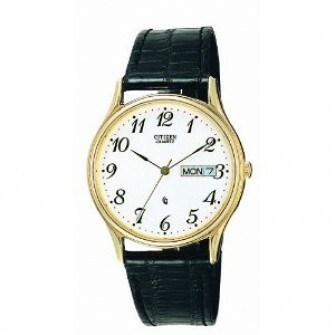 The dial is white.